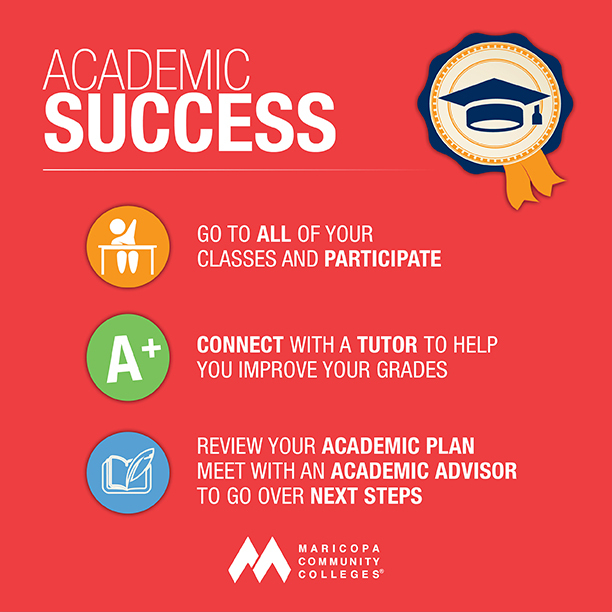 Your weekly student success tip from Rio Salado and the Maricopa Community Colleges: Focus on Academic Success! Follow these tips and you'll improve your chances of succeeding. 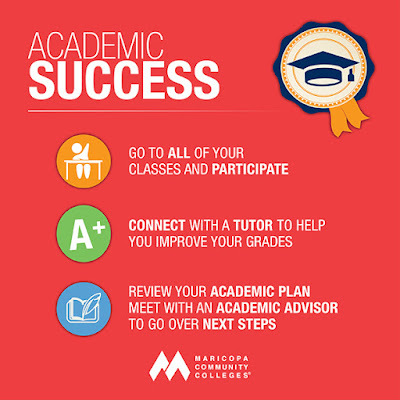 Don't hesitate to call on Rio Salado tutors and academic advisors for help!